The delegation from Tarifa said in Madrid that the bet on water sports includes two world kitesurfing between June and July. The Tarifeña delegation in FITUR 2017 has had the opportunity to promote today the Tarifeño municipality inside the exhibitor of the Delegation of Cadiz. It has been the day of the city and has been celebrated with the well-deserved rumor and with the welcome of all the provincial and even Andalusian delegations. The presence of the president of the provincial council, Irene García, and also the territorial delegate of tourism, Remedios Palma. The Mayor and the Deputy Mayor, Sebastián Galindo, have started the presentation on Tarifa with an illustrative video that summarizes the beauties of the municipality in a creative way. It is the result of a work of Jaime Pereira and Carlos Astolfi, of “Aero Cámaras”, who have fulfilled the premises of the delegation of Tourism to teach the city from a natural and sporting point of view. The sport has undoubtedly prevailed in this edition of FITUR 2017. 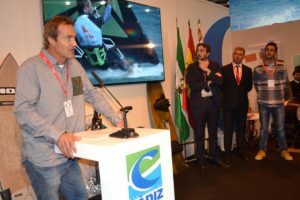 The government has advanced a unique agenda in which the recovery of the classic regatta “Toro Andaluz” has especially surprised. It is a decided bet for windsurfing thanks to this National Competiton that would reach its 26th edition (26th). But not only that, Tarifa will also have a “ten big days” (as they have been called), thanks to the kitesurf championships that will take local beaches between late June and early July, from June 23 to June 2 Of July exactly. Two are the modalities that will be practiced: the freestyle and the strapless that is placed in the vanguard of this practice. And to top it off, the city is bouncing in the field of mountain biking. For the first time, Tarifa will host an amateur mountain bike test. It is the Open of Spain MTB Big Ride in the enduro modality that also has been reviewed in the presentation of today. The contribution of private initiative in today’s day has come from the hand of the company “Southwest strong Tarifa”, with Jaime Herraiz and Jose Antonio Ortiz. They have not stopped thanking the support of the local government and the courage of the same one by betting clearly by the recovery of the sport like first class tourism demand. And the intervention of the mayor Francisco Ruiz has been more illustrative still because the regidor has not forgotten the references to diving as an alternative practice that has many coastal claims on the coast. The sighting of cetaceans and especially of birds are being a revulsive in Tarifa thanks also to the recent inauguration of the Observatory of Cazalla, something indicated by the first mayor in his speech of FITUR 2017. Africa is always present in Tarifa and the cultural linkage is again demonstrated with the organization for this year’s Festival of African Cinema in Tarifa. In addition, “the archaeological site of Baelo Claudia, with 157,128 visitors in 2016, is once again the most visited monument for visitors arriving in southern Spain. The tour of the ancient Roman city and the visit to Guzman el Bueno Castle are our banners. The ancient Arab citadel with about 50,000 visits is already a dynamic center of interpretation of the borders where the guided tours and the nocturnal tour through walls and halls help to know the historical-cultural legacy that we all share “, added Ruiz Giráldez during his intervention In Madrid and without wanting to leave aside the historical legacy and heritage that make Tarifa a complete city. 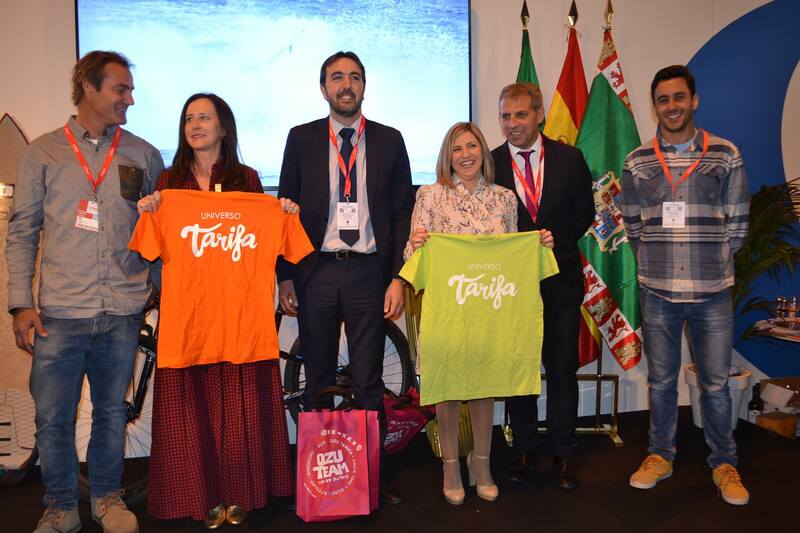 After the intervention of the Mayor, all those involved in the day of Tarifa have taken the stage to note the new philosophy that frames the concept Tarifa Universe.